Feel what it's like to prepare fighter jets, "smell" the jet fuel, and taste the fighter environment. 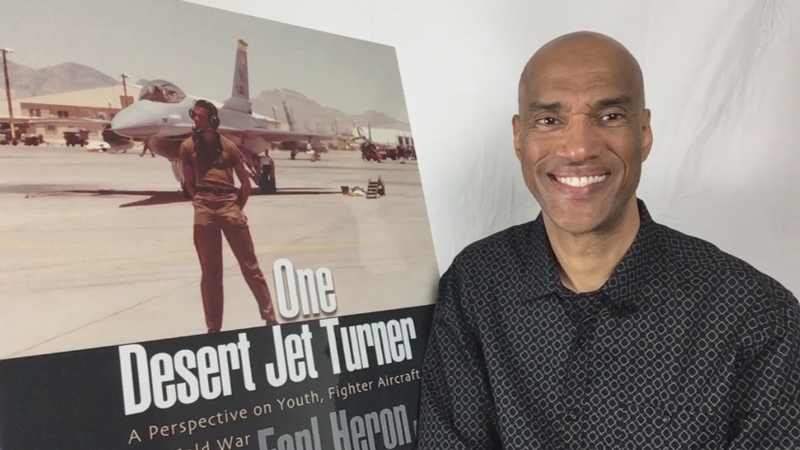 One Desert Jet Turner is an aviation book introduction to USAF fighter jet culture written by an F-4/F-16 fighter mechanic who shares the nature of his relationship with fighter jets and their pilots, as well as his maturation in this defense field. This aviation career book provides information from the same perspective about the USAF Thunderbirds, and accident investigation as observed by the author at Nellis AFB, near Las Vegas, NV and Area 51. 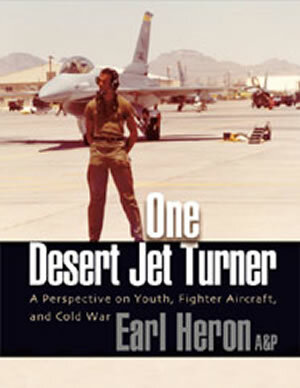 Earl also describes the transition from F-16 mechanic [crew chief] to C-130 flight engineer. Preview this cross training and life experience! This book is available in paperback and several eBook formats. The eBooks work on most computers and smartphones if you don't have an eReader. Please order the paperback delivered to your door with this link, or choose a high-resolution color zoomable-image eBook alternative offered by NOOKbook, the Apple iBookstore/iTunes, Kindle edition or Android Google play. Specifications: 8.5 X 11", trade paperback, 231 pp. We maintain over 60 new paperback books in Stock. Ships within 24 hours! What path did the author take to become a jet fighter mechanic?